At 9:45 AM guests will meet at the Monte San Salvatore funicular in Paradiso. 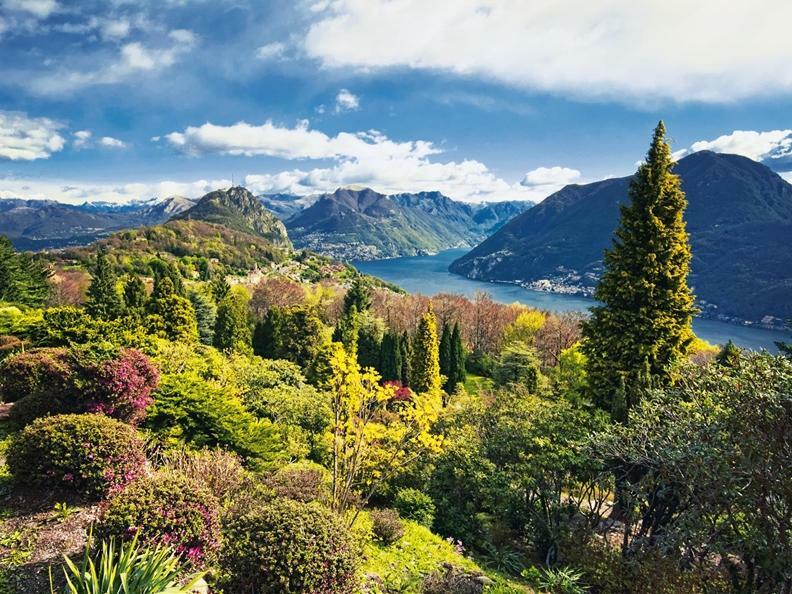 After the welcome and the funicular ride to the top of the mount, there will be a pleasant walk immersed in the nature along the "Sentiero dei fiori", during which the hotel managers will be pleasantly at the helm of the group. Awaiting the guests at the San Grato Park, there will be a rich aperitif with Champagne, followed by a gastronomic picnic made of gastronomic delicacies prepared by Chefs Domenico Ruberto, Alessandro Boleso, Mauro Grandi and Dario Ranza, as well as good wine from Ticino. Lunch will take place in a festive atmosphere with a pleasant live musical accompaniment. From 4:00 PM guests will be taken back to the starting point in Paradiso by bus; guests who wish to avoid the funicular and the walk, can reach the park by car for the start of the event at 12:30. In case of bad weather, the event will not take place. The rate differs according to age, and include the funicular, the aperitif with Champagne, lunch, wines and transport back to Paradise. For adults the price is CHF 95.- (CHF 88.- without the funicular). Children from 6 to 14 years of age benefit from a reduced rate of CHF 72.- (CHF 65.- without funicular). Children under the age of 6 will be free of charge.